Secure your digital assets. Keep your private keys private. The Ledger Nano S is the perfect management devices for people who are serious about the security of their digital assets. Designed for use with Bitcoin, Altcoins and Ethereum, it combines state of the art technology with the highest possible levels of digital security to ensure that your crypto assets remain safe, wherever you are and however you use them. The sleek, slimline Ledger Nano S easily connects to your PC or Mac via a USB connection. The integrated OLED display allows you to check and confirm transactions quickly and easily. 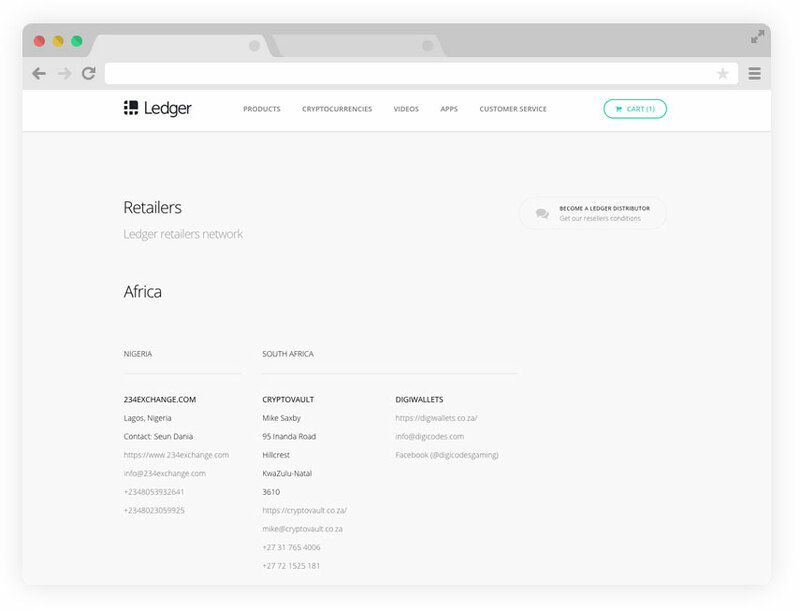 CryptoVault is proud to be listed on the Ledger site as a retailer. 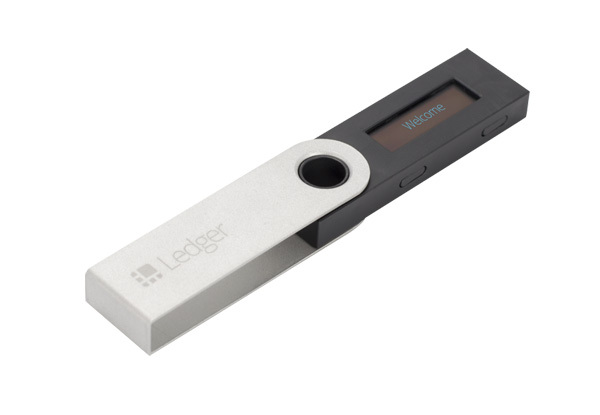 The Ledger Nano S Hardware Wallet is the leading cryptocurrency hardware wallet. 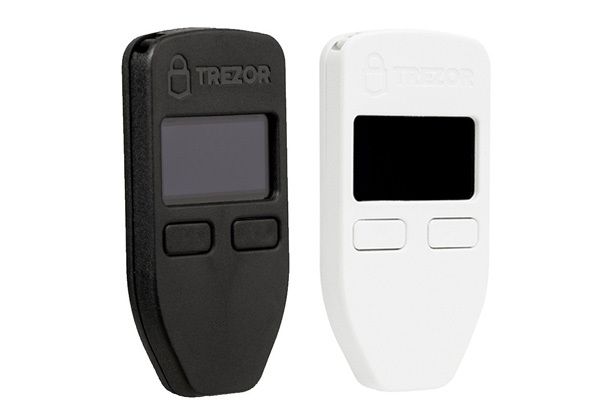 The easy to use, easy to carry Trezor wallet is a true 'Fort Knox for Cryptocurrency' It can be used across a number of devices, operating systems and in almost any environment. It offers the rock-solid security offline transaction signing calls and never exposes your private keys. Now supporting more than 500 coins and tokens. The Ledger Nano S & Trezor Hardware Wallets are perfect management devices for those who are serious about the security of their digital assets. Received the Ledger. Thank you for the fast and awesome service! The order was well received on Friday afternoon. Thanks for your prompt and efficient service. Thank YOU for the awesome service. It has been a pleasure. Yes we are listed on the Ledger site "Retailers" page. Please see this link. 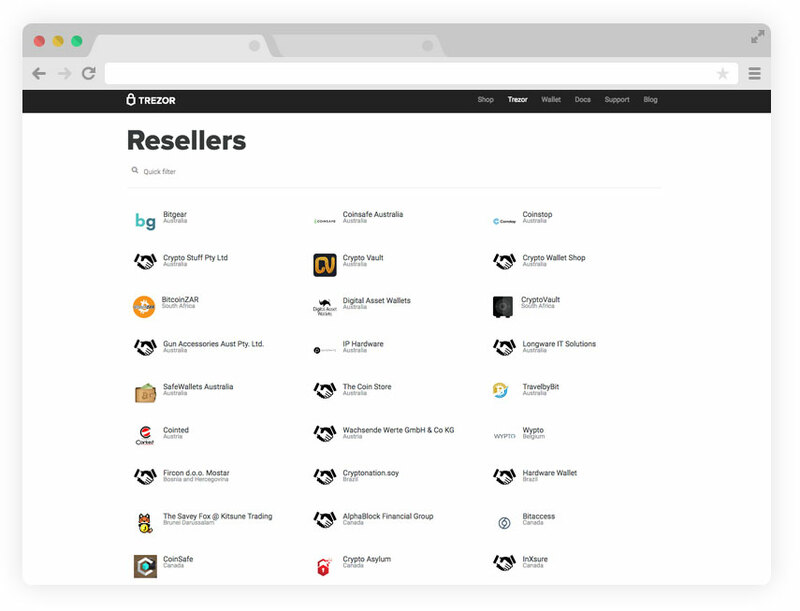 Yes we are listed on the Trezor site "Resellers" page. Please see this link.